To start, what is the purpose of The Mortgage Collaborative? 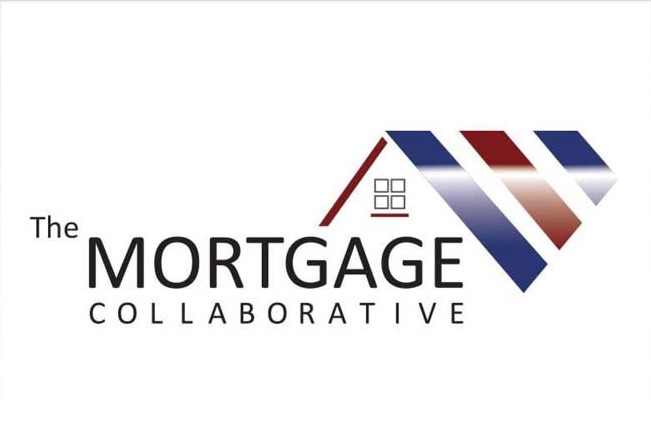 The Mortgage Collaborative is a mortgage cooperative singularly focused on the growth and profitability of independent mortgage bankers and community lenders. This was an area our founding partners felt was underserved in the industry when TMC was formed in 2013, so growing a cooperative network like TMC, fosters greater success for those mortgage bankers and community lenders who are key in this industry. What is the value of being a part of The Mortgage Collaborative? There are so many benefits of being a part of The Mortgage Collaborative, but to try and keep it as concise as possible, I’ll stick to the core values. Being a part of this cooperative enables members to see increased revenues, reduced expenses and greater profitability. Members also have access to our best-in-class network of 66 preferred partner companies across the origination lifecycle, including Docutech. There are benefits associated with TMC strategic partnerships with companies such as Fannie Mae, Freddie Mac and HousingWire. Members can also utilize our tools and resources to prepare themselves for the changing face and demographics of the American homebuyer, including the everchanging homebuying and loan origination processes. Members are given opportunities to engage with industry experts and peers and share best practices at our interactive Winter and Summer Conferences. There are opportunities to network and stay up to speed on industry changes through our educational webinar platform and working group forums. And lastly, we are made up of great people with a great culture where partners and members alike forge new relationships and enter with a willingness to share great ideas and resources. The familial culture we’ve built encourages our members and partners to let their guard down under the guise that the more we collectively collaborate for the good of the industry, the better positioned all will be for continued future successes. What makes your Summer and Winter conferences different? Unlike some other conferences, both our Summer and Winter Conferences are very much molded around the feedback of our lender members. They are given the opportunity to dictate the direction and content of both annual member conferences, and we take pride in the fact that we listen to the feedback from both members and preferred partners to give them a conference they want. For example, attendees told us they wanted fewer talking heads and more interactive breakout discussions and additional opportunities to network with their peers. That’s exactly what we’ve put in place for this year’s events. The goal is for each attendee to leave the TMC conference feeling energized, with new ideas, new relationships, and fresh strategies on how to grow their business and revenues in a constantly evolving industry. The Mortgage Collaborative offers both Working Groups and Collaboration Labs, can you explain the differences in them and the benefits of each? Starting off with the Collaboration Labs, these are small groups consisting of CEO's and/or key decision makers from TMC lender member companies. The meeting is hosted by one of the participants at their home office and are made up of companies that are of similar size and scope that don't directly compete with one another. TMC facilitates the collection of a set of defined benchmarking metrics and key performance indicators and handles all the planning and communication related to the Collaboration Lab and the agenda. The lab participants meet for a day and a half and spend their time getting to know one another and as well as their companies. They also dive into each firm’s pre-submitted operating metrics, discuss business best practices, and talk through strategic initiatives important to each participating firm. The working groups serve to create even more connections and opportunities to collaborate for our members. We've developed several groups bringing together industry professionals and subject matter experts to help participants grow in their professional development. These groups include: Capital Markets Working Group, CRA Working Group, Marketing Working Group, Servicing Working Group and Women’s Networking Working Group. Are there qualifications for being admitted into The Mortgage Collaborative? If so, what are they? For our lender members, we look for forward-thinking, well-respected companies eager to engage with their peers and our preferred partner network. Our hopes are that with this, they seek opportunities to run their business more efficiently. For third parties in the mortgage space, we’re seeking best-in-class companies dedicated to providing top-notch service to our members. They also should have disruptive ingenuity in their product and services offerings. How does being the only independent cooperative network in the mortgage industry benefit your business model? Being able to hold that “title” you could call it, provides trust to our lender members and preferred partners that TMC is acting in their best interests without third-party or ownership influence. Additionally, it provides our preferred partners confidence that they won’t have to compete with TMC-owned, operated or influenced preferred partners companies which tends to happen in networks like ours in the industry.